The picture shows the Old Town Square while it is shining bright in the light of the night. 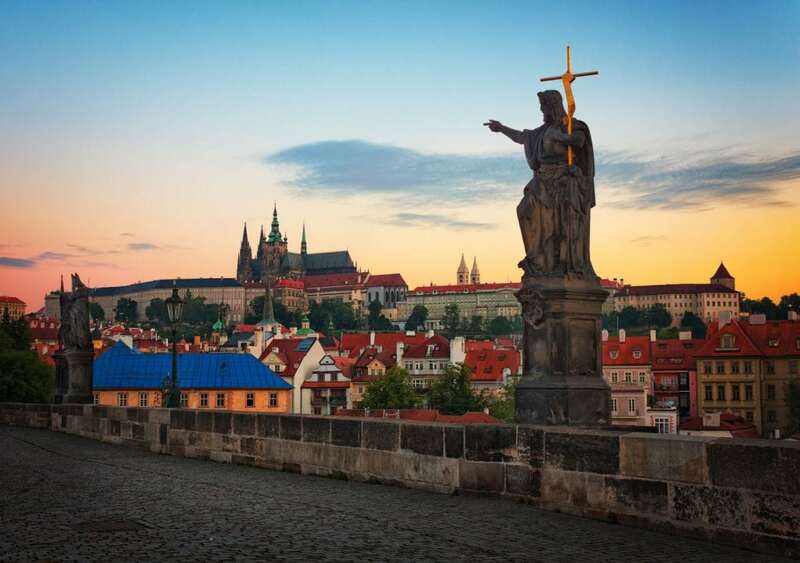 The eye catcher in this picture is, without doubt, the Church of Our Lady before Tyn, which is with its two towers one of the most famous buildings in the golden city of Prague. The construction of this monumental gothic basilica started in the 14th century, but was not completed until the beginning of the 16th century. 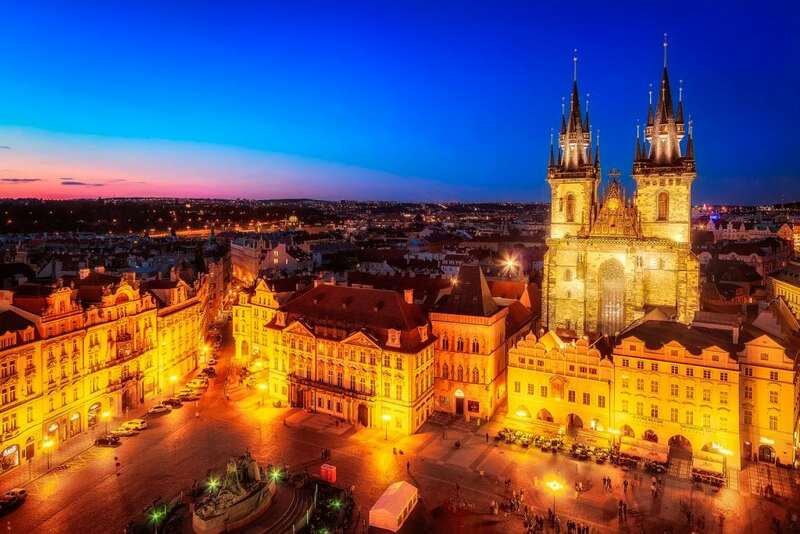 This church together with the entire Old City of Prague is included in the UNESCO list of World Heritage Sites since 1992 and is always worth a visit. As you know, Prague is a pretty unique place for me. I have so many fond memories and I am glad each time when I can walk for a few days through the pretty streets. 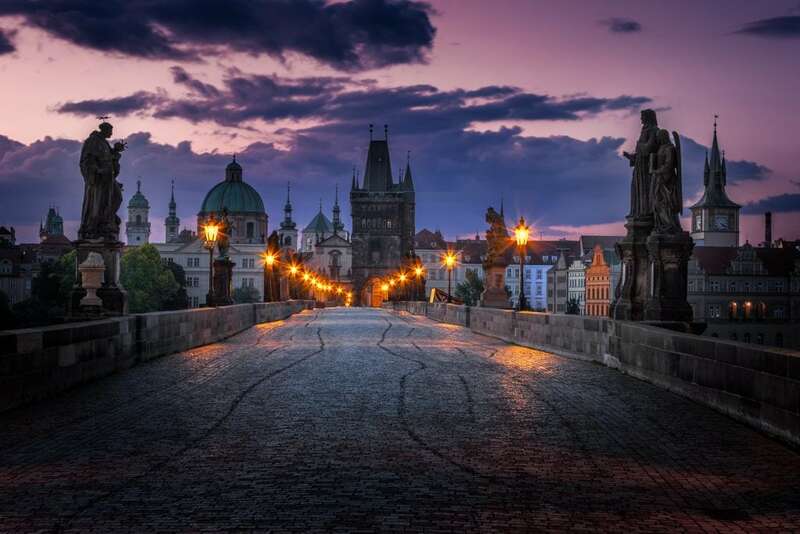 And of course, each time I have to cross the Charles Bridge at least once. During dawn, it is absolutely amazing and the various statues welcome you in the silence of a Sunday morning. This is not the first photo of this point which I will show you. And it certainly won’t be the last. What can I say, I simply love this place in Prague. 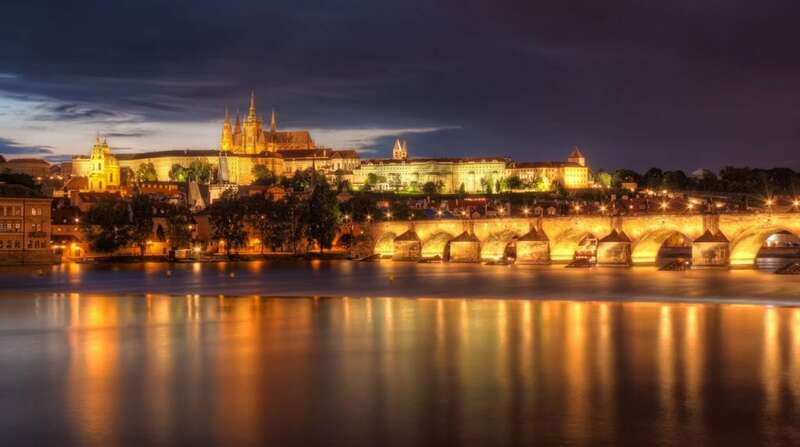 This unique view of the Castle and the Charles Bridge that leads you to the other side of the Vltava River. And in addition, the quiet zone in the otherwise rough water, that makes all the lights look twice as nice. My alarm went off at 3:30am, because before the sunrise I wanted to photograph the empty alleys. But when I arrived at the main entrance to Prague Castle, I was surprised when I saw it closed. Somehow I had assumed you could enter the castle yard at any time – yep, apparently not. Well, I started running the castle hill back down, through the streets of Malá Strana and then at the vineyards up again to the Prague Castle. No way that I would miss this moment of the rising sun!